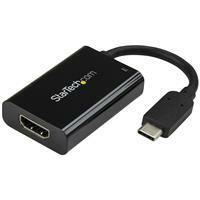 This USB-C™ to 4K HDMI® adapter connects an HDMI display to your laptop or MacBook with USB Type-C. 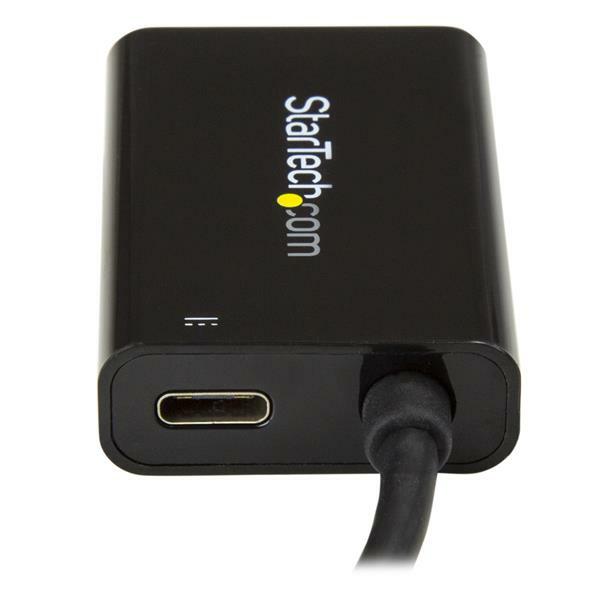 The USB C to HDMI adapter features USB Power Delivery, so you can power your laptop while outputting video, using the same USB-C port. The adapter is also available in white (CDP2HDUCPW), so you can choose an adapter that matches the style of your laptop. Smaller and lighter laptops are great for portability but you’re left with fewer connectivity ports. 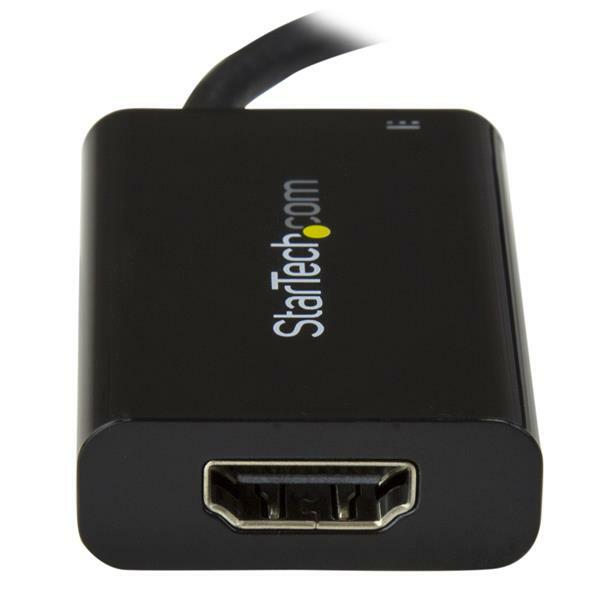 This USB-C video adapter supports USB Power Delivery up to 60 watts and features an additional USB-C port, so you can charge your laptop using its USB-C power adapter, even while you output video. Many laptops like Dell XPS and MacBook Pro support charging through your USB-C port with USB Power Delivery, check your specifications to confirm compatibility. 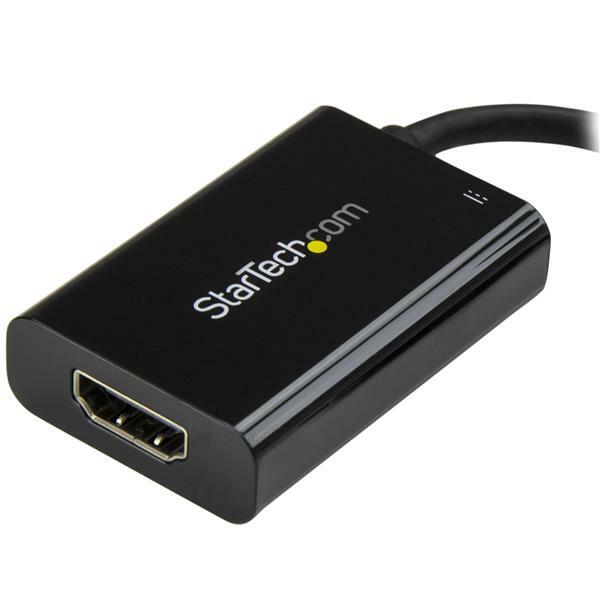 To ensure the UHD quality of your video signal is maintained the USB Type C to HDMI adapter supports HDMI resolutions up to 3840 x 2160 60Hz, including popular high-definition resolutions like 1080p and 720p. This USB C to HDMI converter has an all-black housing and built-in USB-C cable designed to match your Ultrabook or laptop. 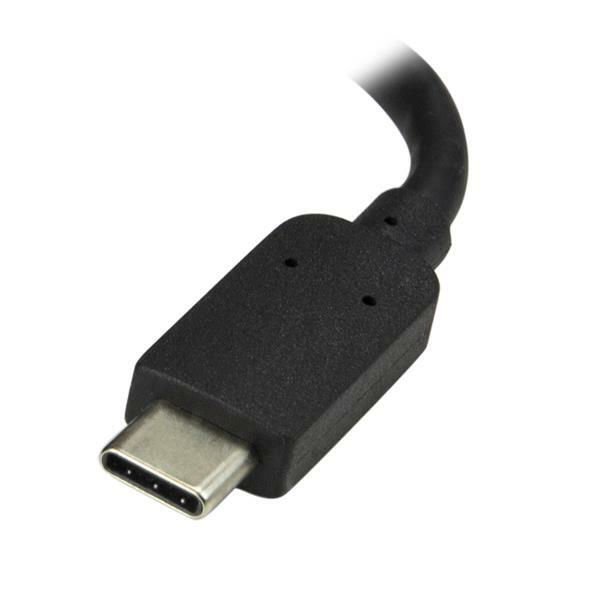 The adapter is compatible with any device that supports USB-C DP Alt Mode. 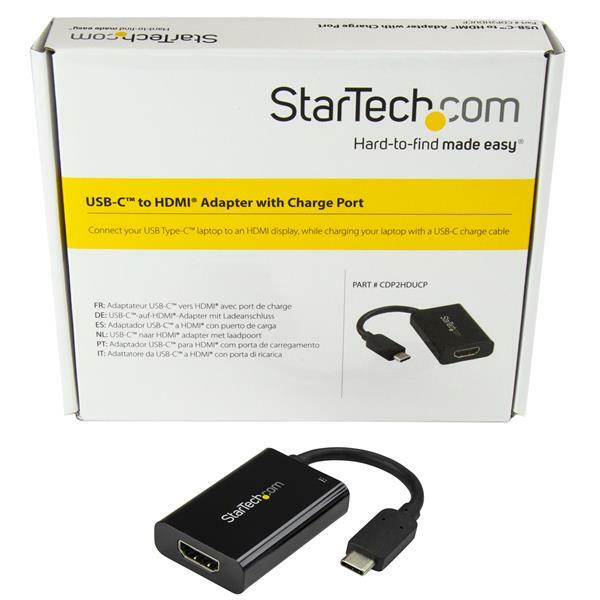 The CDP2HDUCP is backed by a 3-year StarTech.com warranty and free lifetime technical support.